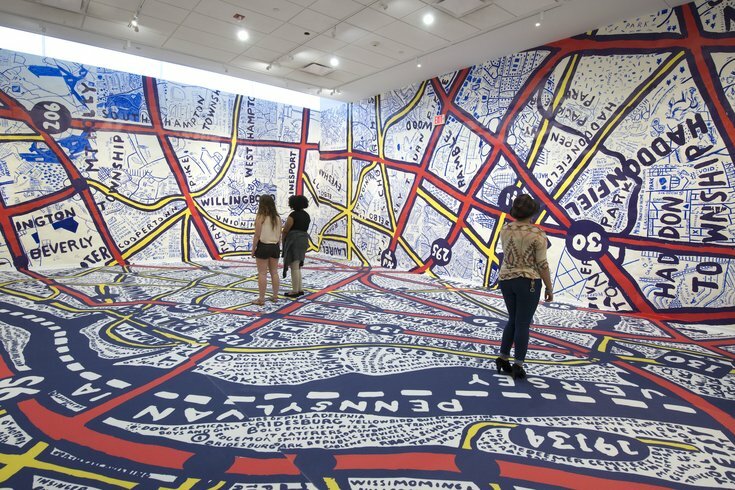 "Paula Scher & Keith Hartwig: Philadelphia Explained" at the Tyler Contemporary gallery. If you want to fully immerse yourself in a graphic map of Philadelphia, you have just one week left to take the plunge. 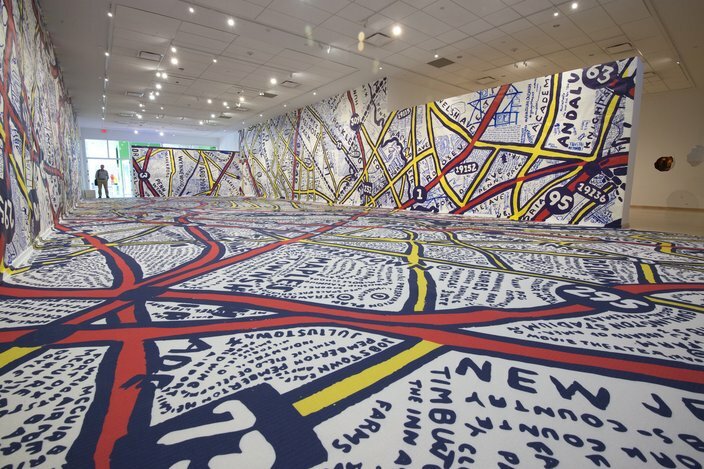 "Paula Scher & Keith Hartwig: Philadelphia Explained," an installation in the Tyler School of Art Contemporary Gallery, is on view until Friday, July 17 and it is a can't-miss experience. The installation consists of 2,100 square feet of gallery space covered in a giant map of Philly, including the walls and floors. Visitors walk over the installation in order to view it from the gallery center. "Philadelphia Explained" is the result of a Tyler mentoring program which pairs established alums with recent graduates. Renown graphic designer Paula Scher was paired with 2011 architecture graduate Keith Hartwig for the six-month program. 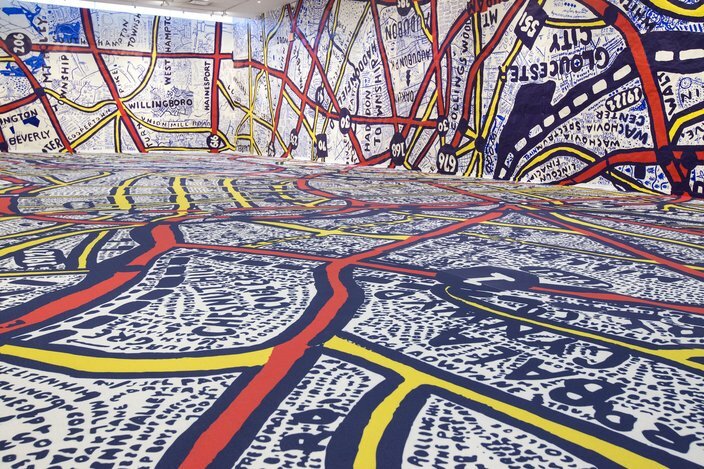 The map installation is a combination of Scher's own aesthetic, the cartographic work of her father and the hand painted pieces of the map made by more than 100 Tyler students. For his part, Hartwig created a series of images that tell the story of three Philadelphians whose lives are intertwined. Domed panoramas hang from Hartwig's exhibit for visitors to step into, making "Philadelphia Explained" a double dose of interactivity.